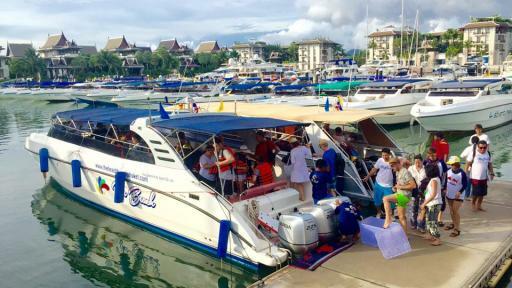 Looking for some adventure in Phuket, then this is the tour for you! 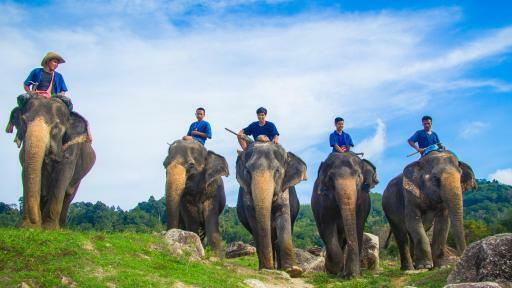 Trek on elephant back in the hills with panoramic views over Phuket Island. Meet some little elephants and see how they are trained. Experience fantastic scenery and the joy of nature with these amazing animals. 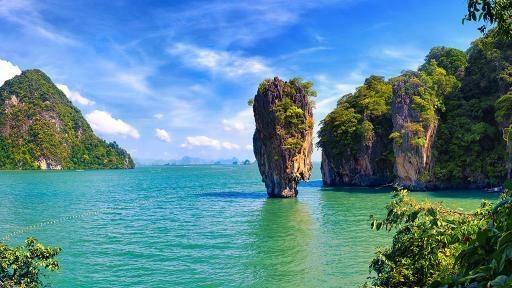 Explore the majestic Phang-Nga Bay with over one hundred islands and rocky, limestone outcrops and stunning secluded beaches. Visit the famous James Bond Island, snorkel and swim to your hearts content and experience lunch with the Sea Gypsies. Phang-Nga Bay is full of culture and adventure. 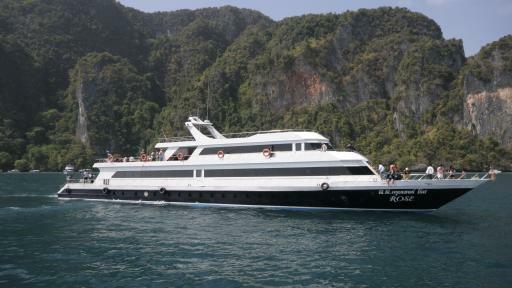 Cruise across the Andaman Sea by boat to the beautiful Phi Phi Island in Krabi Province. Take in the lushly vegetated rocky islets and enjoy lunch while exploring the powdery stretches of beach at Phi Phi Don and the fascinating Viking Cave at Phi Phi Le where swallows nest in the thousands. Enjoy the beautiful views of the Ao Pileh and Ao Loh Sama bays at Phi Phi Le before moving on to Maya Bay, filming location for the Leonardo Di Caprio movie 'The Beach'. Enjoy lunch at one of Phi Phi Don's local restaurants then snorkel or swim to your heart's content at Khai Nai and Pai Islands. Phuket Fantasea is located on beautiful Kamala Beach and offers a unique cultural entertainment theme park by night. Enjoy a delicious buffet meal before watching traditional Thai dances and performances that take you on a journey through Thailand's ancient culture and mythology. The Sea Canoe Starlight Tour takes you on an adventure exploring the sea caves and Hongs of Phang Nga Bay. 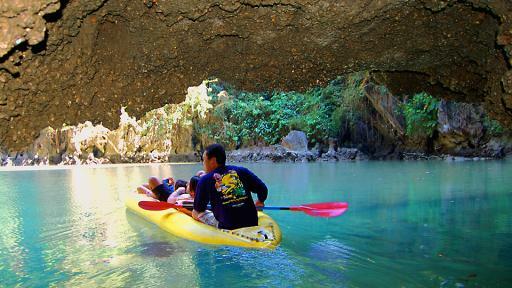 Enjoy an afternoon and evening of kayaking, swimming, Thai food and starlight, all the while accompanied by expert guides. This small group tour allows you to take in the natural beauty and serenity of this stunning area. 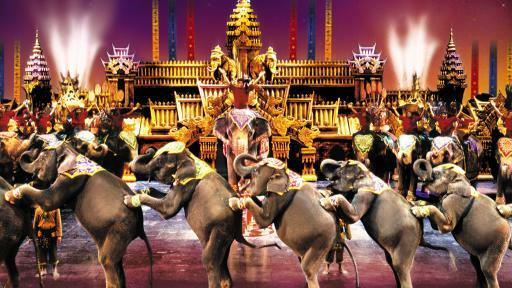 Siam Niramit Show is a must-do on your next Phuket holiday itinerary. 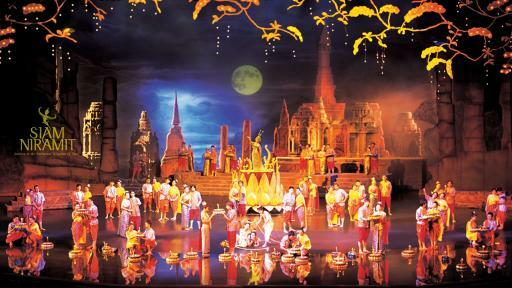 This fascinating evening of song and dance portrays the culture and history of Thailand in the most amazing way. This is a perfect night out for families and couples of all ages. Enjoy the show and dinner or explore the re-created Thai village with its demonstrations and magical sets. 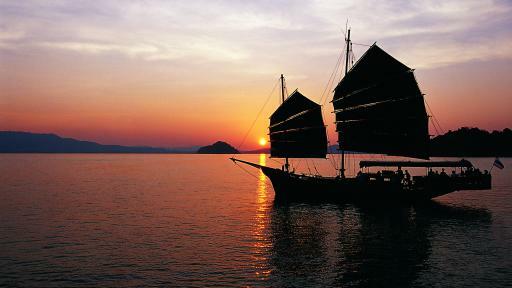 This great Phuket tour sees you sailing on Phang Nga Bay in a traditional Siamese Junk whilst soaking up the stunning sunset across the bay. Also included is a delicious Thai buffet dinner to fully complete the Sunset experience. This is a great chance to relax after a day of touring.